Reggae in the bathroom, Reggae in the bedroom, Reggae everywhere, those are some of the lyrics of the late Lucky Dube’s song “Reggae Strong”. Reggae is a music genre first developed in Jamaica in the late 1960s. While sometimes used in a broader sense to refer to most types of Jamaican music, the term reggae more properly denotes a particular music style. Ska, out of which evolved Rocksteady, which in turn became Reggae, which has developed into a number of different styles such as Roots, Dancehall, reggeaton, Dub, Toasting, Lover's Rock, Niyabingi (traditional drumming and chanting) etc. “Many believe that reggae came first, however it is quite the contrary, and reggae came third, after ska and rocksteady. The only significant differences between reggae and its predecessors besides its tempo were its strong emphasis on a treble-less bottom end bass line and its new spiritual emphasis in Rastafari. This reggae in its early or traditional state is what many now call "roots". This is by far one of the most infectious styles of the genre, made famous worldwide by Bob Marley.” Said, Ras Kayaga of the Holly Jah Doves band. It’s almost impossible to write about reggae music without mentioning “Rastafarianism”, a religion that is very common among Jamaicans of African descent. Many of the world's most famous reggae musicians practice this religion, and therefore many reggae lyrics reflect the beliefs and traditions of Rastafarianism. Another thing that is interwoven in Reggae music is Marijuana. In Rastafarian practices, marijuana is used as a sacrament; the belief is that it pulls a person closer to God. 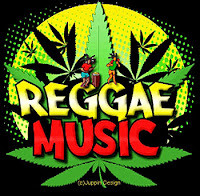 Therefore, cannabis referred to as "Ganja" in Jamaican slang often features prominently in reggae lyrics, but not all reggae lyrics contain references to Ganja, just as not all reggae musicians are Rastafarians. Years after it was born, reggae gave birth to many different kinds of music such as “Roots reggae”, a spiritual type of music whose lyrics are predominantly in praise of Jah (God). Dub is a genre of reggae that involves extensive remixing of recorded material, and particular emphasis is placed on the drum and bass line. Rockers style was created in the mid-1970s by Sly & Robbie; this type is described as a flowing, mechanical, and aggressive style of playing reggae. The lovers rock subgenre originated in South London in the mid-1970s. The lyrics are usually about love. It is similar to rhythm and blues. Notable lovers’ rock artists include: Gregory Isaacs, Freddy McGregor, Maxi Priest and Beres Hammond. The dancehall genre was developed around 1980; Dancehall is the most popular form of reggae today. Stars like Sean Paul, Shaggy, and Supercat have used Jamaican patois in combination with rap to propel reggae to new levels of worldwide attention and sales. Ragga and reggae fusion are subgenres of dancehall where the instrumentation primarily consists of electronic music and sampling. Notable ragga originators include Shine Head and Buju Banton. Reggaeton is a form of urban music that first became popular with Latin American youths in the early 1990s. Reggaeton's predecessors originated in Panama as reggae en español. Love or hate it, truth is, Reggae music, with its heavy bass, regular rhythms, and inspirational lyrics, is the perfect companion for relaxing in the busy modern world. Whether you enjoy the traditional songs and rhythms of pure reggae or the crossover styles of reggae fusion and dub – it is a great way to relax and unwind. Reggae music can be the perfect way to relax and enjoy the good things in life, which are as they always have been – unrushed, gentle, and always there waiting for you to appreciate them.